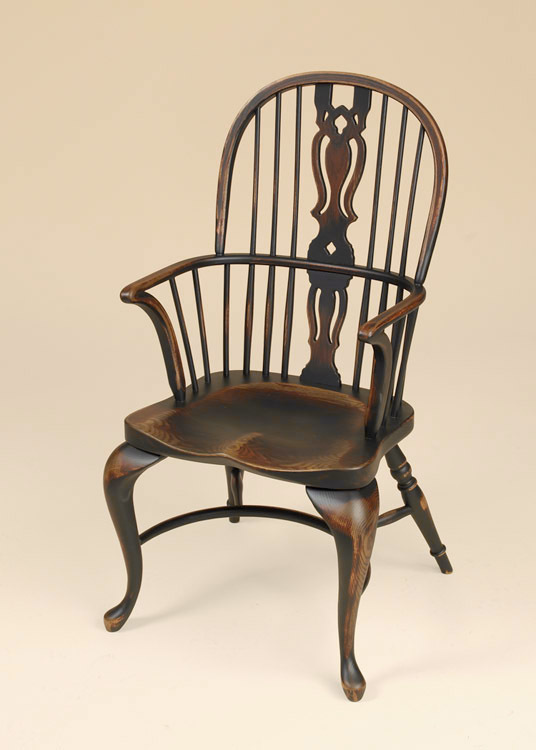 The English Sack Back Arm Chair is a perfect example of the 17th Century Windsor style that was produced in England. 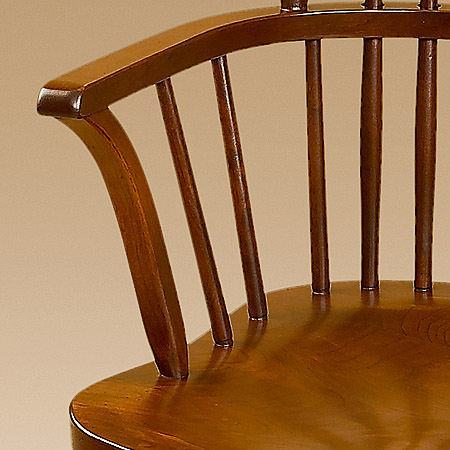 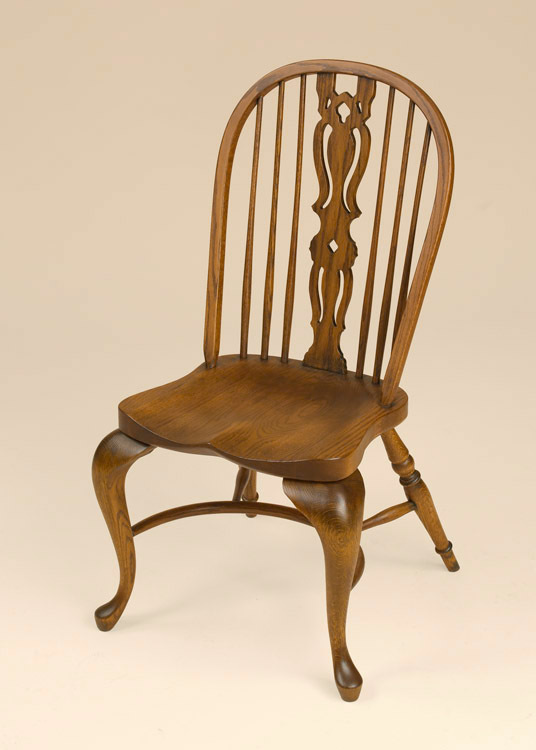 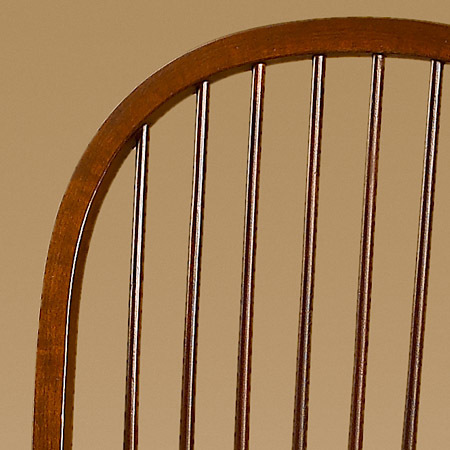 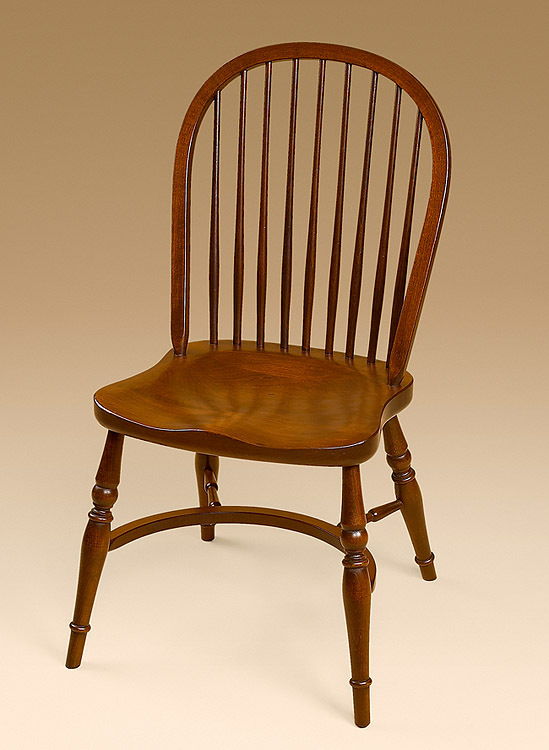 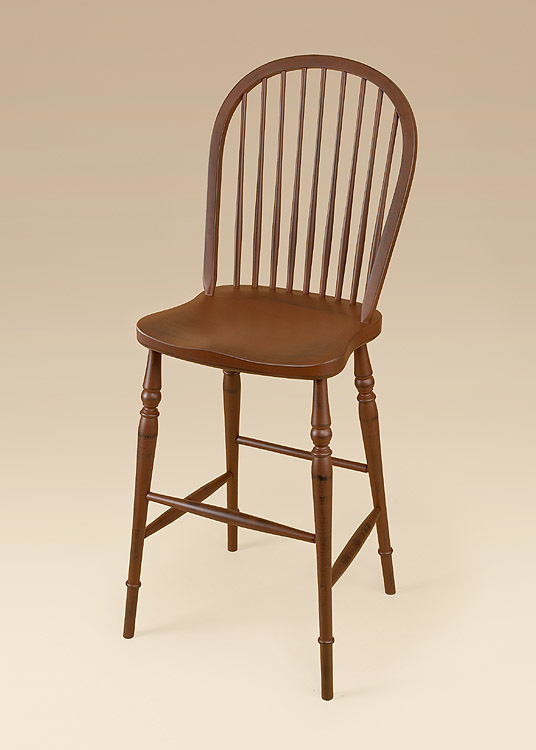 This is an elegant chair with traditionally turned legs. 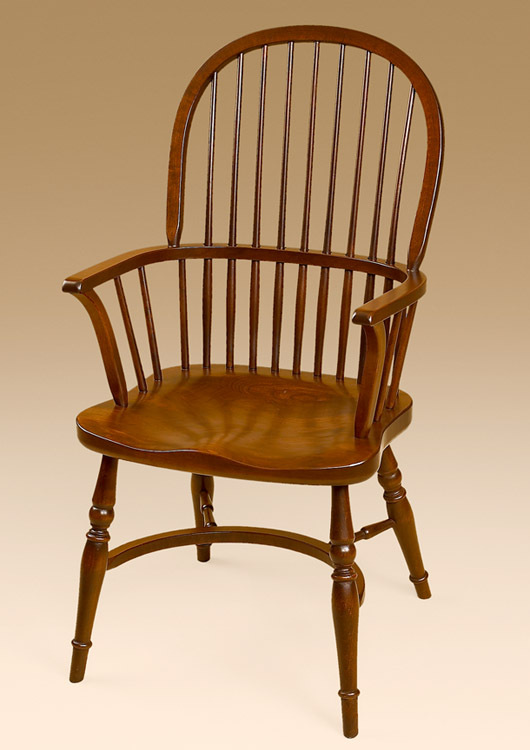 It is fitted with arms that make it a perfect captain’s chair in your dining room or sitting chair in any room of your home. 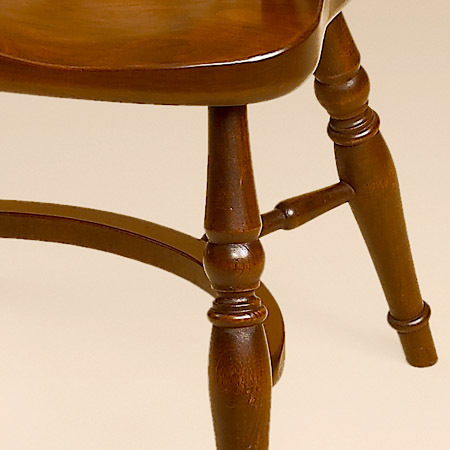 Note the special touch of the arched trundle under the chair for extra style and design.